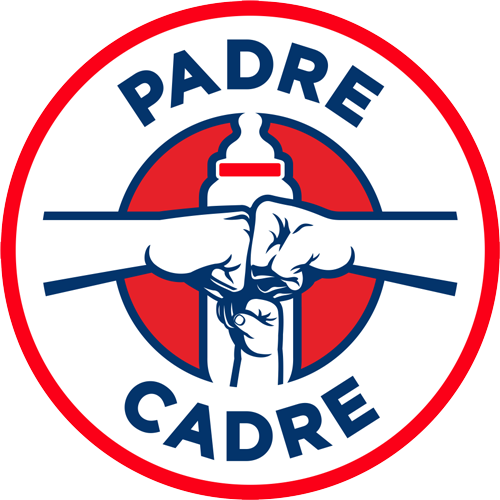 Padre Cadre is not intended for children under the age of 13. We do not knowingly collect personally identifiable information via the Sites from visitors in this age group. We do, however, collect information about children and babies from their parents. Users shall not provide information about a baby or child without first getting the parents’ consent. We encourage parents to talk to their children about their use of the Internet and the information they disclose to Web sites. User Provided Information: You provide certain personally identifiable information (such as your name, email address, and postal address) to Padre Cadre when choosing to participate in various activities on the Padre Cadre Sites such as building a profile, uploading videos, posting messages in our forums or in the video comments section, entering contests or sweepstakes, taking advantage of promotions, responding to surveys, or subscribing to newsletters or other mailing lists. Cookies Information: When you visit the Padre Cadre Sites, we may send one or more cookies – a small text file containing a string of alphanumeric characters – to your computer that uniquely identifies your browser. Padre Cadre uses both session cookies and persistent cookies. A persistent cookie remains after you close your browser. Persistent cookies may be used by your browser on subsequent visits to the site. Persistent cookies can be removed by following your web browser help file directions. A session cookie is temporary and disappears after you close your browser. You can reset your web browser to refuse all cookies or to indicate when a cookie is being sent. However, some features of the Padre Cadre Sites may not function properly if the ability to accept cookies is disabled. Log File Information: When you use the Padre Cadre Sites, our servers automatically record certain information that your web browser sends whenever you visit any website. These server logs may include information such as your web request, Internet Protocol (“IP”) address, browser type, browser language, referring / exit pages and URLs, platform type, number of clicks, domain names, landing pages, pages viewed and the order of those pages, the amount of time spent on particular pages, the date and time of your request, and one or more cookies that may uniquely identify your browser. Clear GIFs Information: When you use the Padre Cadre Sites, we may employ “clear GIFs” (a.k.a. Web Beacons) which are used to track the online usage patterns of our Users anonymously (i.e., in a non-personally-identifiable manner). In addition, we may also use clear GIFs in HTML-based emails sent to our users to track which emails are opened by recipients. If you submit personally identifiable information to us through the Padre Cadre Sites, then we use your personal information to operate, maintain, and provide to you the features and functionality of the Padre Cadre Sites. Any personal information or video content that you voluntarily disclose online (on discussion boards, in messages and chat areas, within your public profile page, etc.) becomes publicly available and can be collected and used by others. Your user name (not your email address) is displayed to other Users when you upload videos or send messages through the Padre Cadre Sites and other Users can contact you through messages and comments. Any content that you submit to the Padre Cadre Sites may be redistributed through the internet and other media channels, and may be viewed by the general public. We do not use your email address or other personally identifiable information to send commercial or marketing messages without your consent or except as part of a specific program or feature for which you will have the ability to opt-in or opt-out. We may, however, use your email address without further consent for non-marketing or administrative purposes (such as notifying you of major Padre Cadre Site changes or for customer service purposes). We use both your personally identifiable information and certain non-personally-identifiable information (such as anonymous User usage data, cookies, IP addresses, browser type, clickstream data, etc.) to improve the quality and design of the Padre Cadre Sites and to create new features, promotions, functionality, and services by storing, tracking, and analyzing User preferences and trends. We do share non-personally-identifiable information (such as anonymous User usage data, referring / exit pages and URLs, platform types, number of clicks, etc.) with interested third-parties to assist them in understanding the usage patterns for certain content, services, advertisements, promotions, and/or functionality on the Padre Cadre Sites. Please contact Padre Cadre with any questions or comments about this Privacy Notice, your personal information, your consent, or your opt-in or opt-out choices by emailing singley@menexcel.com. Padre Cadre also allows users to provide links to third-party web sites through their blogs or content posts. Padre Cadre does not provide any personally identifiable information through these third party links and does not endorse any third party link on any Padre Cadre Sites. Users assume all risk by following a link. Padre Cadre does not endorse the privacy standards of any third party link connected through any Padre Cadre Sites. Padre Cadre uses commercially reasonable physical, managerial, and technical safeguards to preserve the integrity and security of your personal information. We cannot, however, ensure or warrant the security of any information you transmit to Padre Cadre and you do so at your own risk. Once we receive your transmission of information, Padre Cadre makes commercially reasonable efforts to ensure the security of our systems. However, please note that this is not a guarantee that such information may not be accessed, disclosed, altered, or destroyed by breach of any of our physical, technical, or managerial safeguards. If Padre Cadre learns of a security systems breach, then we may attempt to notify you electronically so that you can take appropriate protective steps. Padre Cadre may post a notice on the Padre Cadre Sites if a security breach occurs. Depending on where you live, you may have a legal right to receive notice of a security breach in writing. To receive a free written notice of a security breach (or to withdraw your consent from receiving electronic notice) you should notify us at singley@menexcel.com. In the event that Padre Cadre is acquired by or merged with a third party entity, we reserve the right, in any of these circumstances, to transfer or assign the information we have collected from our Users as part of such merger, acquisition, sale, or other change of control. In the unlikely event of our bankruptcy, insolvency, reorganization, receivership, or assignment for the benefit of creditors, or the application of laws or equitable principles affecting creditors’ rights generally, we may not be able to control how your personal information is treated, transferred, or used. This Privacy Notice may be revised periodically and this will be reflected by the “effective date” below. Please revisit this page to stay aware of any changes. In general, we only use your personal information in the manner described in the Privacy Notice in effect when we received the personal information you provided. Your continued use of the Padre Cadre Sites constitutes your agreement to this Privacy Notice and any future revisions. Date Last Modified: This Privacy Notice was last modified March 26th, 2018. Contact Information: Please contact Padre Cadre with any questions or comments about this Privacy Notice at singley@menexcel.com.